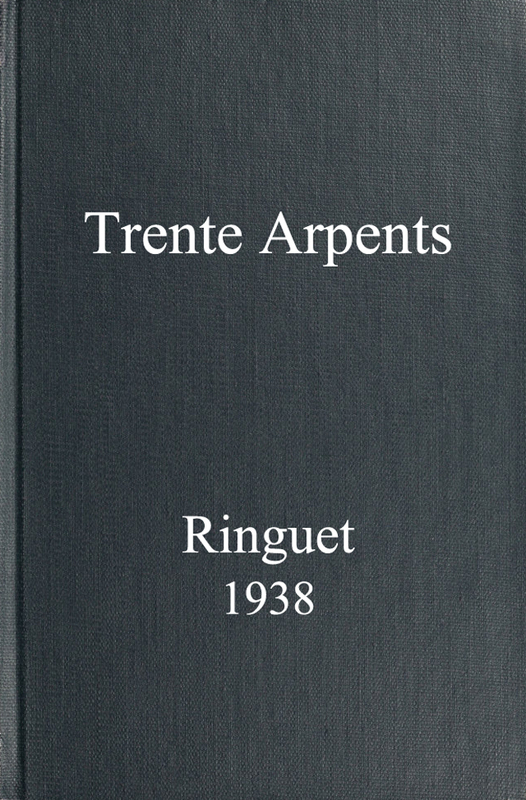 Thirty Acres (French: Trente arpents) is a novel by Canadian writer Philippe Panneton, published under the pen name Ringuet. First published in French in 1938, its English translation was published in 1940 and won the Governor General's Award for Fiction at the 1940 Governor General's Awards. It is considered one of the most important works in Quebec literature, and one of the most important exemplars of the roman du terroir genre. Epub 20150409.epub If you cannot open a .mobi file on your mobile device, please use .epub with an appropriate eReader. Mobi/Kindle 20150409.mobi Not all Kindles or Kindle apps open all .mobi files.